I am constantly amazed at the work that women in Kansas City do to impact our community. It’s a pleasure today to write about the Starr Women’s Hall of Fame and the inaugural class of honorees. This community-based effort was created to honor outstanding Greater Kansas City women past and present. It is supported by a large group of organizations in Kansas City, including the Junior League of Kansas City, Missouri. The inaugural class of women has definitely made our region better, and their stories are encouraging to me as a young volunteer in the Kansas City area. Three of the inductees were or are Junior League of Kansas City, Missouri members. They will be recognized at a sold-out luncheon on Friday, March 13th, and I wish I had a ticket to hear more of their stories! Robin Roberts from Good Morning America is hosting the luncheon at UMKC. 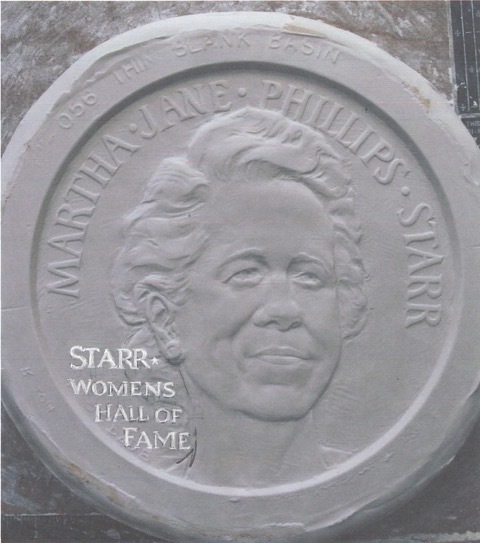 The Hall of Fame was named after Martha Jane Phillips Starr who was a powerful force for women’s rights, regionally and nationally. Members of the inaugural class with JLKCMO backgrounds include Shirley Helzberg, Adele Hall and Martha Jane Starr. We are so proud to be connected with this fabulous event and look forward to following along with social media coverage of the event with the hashtag #KCwomen. This entry was posted on March 3, 2015 by JLKCMO in Volunteer Spotlight.